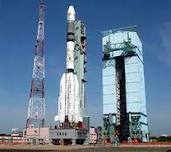 Sriharikota is the launch center for the Indian Space Research Organization (ISRO). It is located, in East Coast of Andhra Pradesh in India. It is a Indian’s only satellite launch center. Sriharikota separates the Pulicat Lake from the Bay of Bengal, and is home town of Pulicat. It is in Sri Amararajeevi Potti Sri Ramulu Nellore district in Andhra Pradesh. The nearest town is Sullurpeta. It is 80 km from Chennai. The Indian space program was driven by the vision of “Dr. Vikram Sarabhai” is considered the father of Indian’s Space program. India’s first satellite, the Aryabhata, was launched by the Soviet Union on 19 April 1975 from kapustinyar using a Cosmos-3M launch vehicle. The first Rohini sounding rocket was launched form SHAR in October 1970. At present in April 26’ 2012, India's first indigenous all-weather Radar Imaging Satellite (RISAT-1). PSLV-C19 will be carried a microwave remote-sensing satellite. 4. Human spaceflight program (mission will launch in 2016).